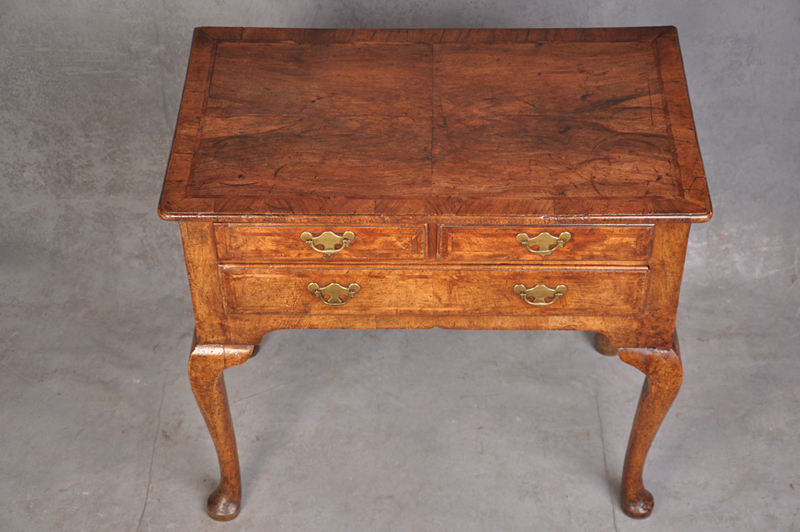 18th Century George I Walnut Lowboy of superb untouched colour and patina with original handles and Quarter veneered top. 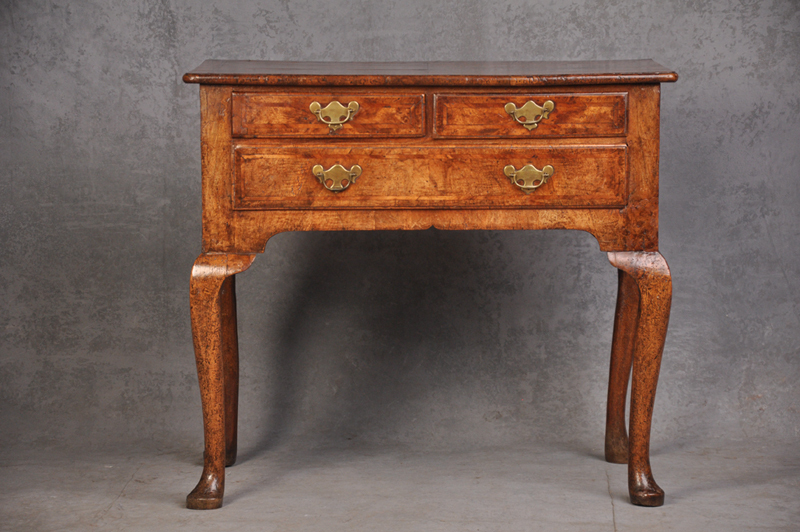 The Lowboy has a cherry wood half herring bone banding. 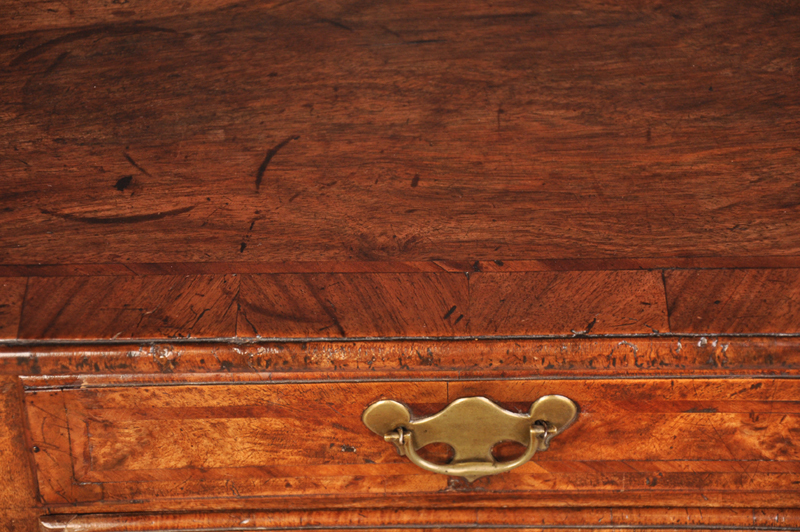 The drawer linings interestingly are made from a combination of Oak, Walnut, Ash and Cherry. The Oak sides are original and have never been veneered.